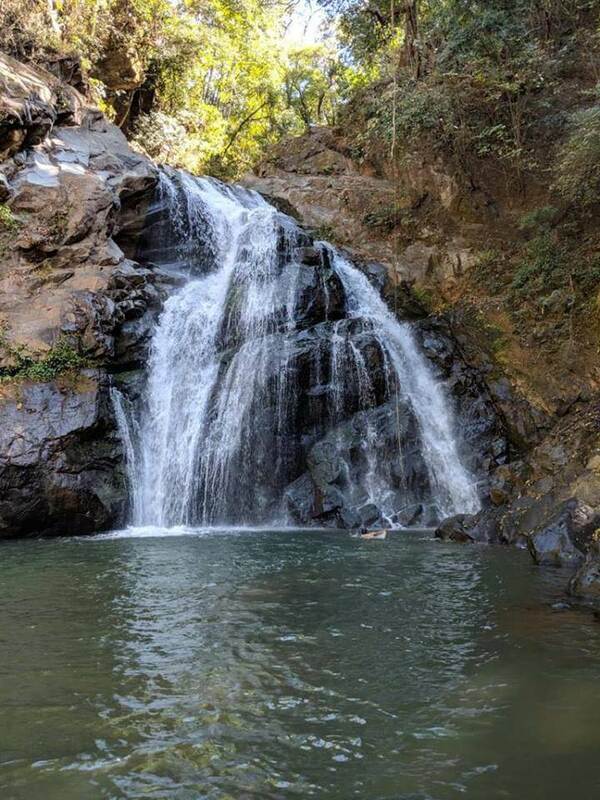 A Beautiful Waterfall in San Ramon, Costa Rica! We woke up early on Sunday morning and left from San Jose around 8am. After stopping for coffee, pastries and cash, we drove for a little over an hour towards Grecia and San Ramon. The entrance to the Finca is about 13 kilometers past San Ramon. The road entering the finca is gravel and a little rough, but nothing any car can’t handle. (But I imagine that you need 4-wheel drive if you go during the rainy season). After we parked we headed towards the entrance station. (You’ll see a huge pond to the right, and a building to the left. There are picnic tables and bathrooms available.) Watch out for horse poop as soon as you exit the car, and for most of the hike. A friendly Tico greeted us and told us to follow the hiking trail marked with pink ribbons to get to the waterfall. He also informed us that we could continue on after the waterfall for a more intense hike, or follow an easier trail down to a famous tree that is hollow on the inside. We weren’t really prepared for a long day of hiking however, so we opted for the short walk to the waterfall and then the hike down to the tree. We signed in, paid 4000 colones each, and got started! The hike to waterfall was relatively easy. It’s mostly downhill, so we stumbled a few times trying not to lose our balance, but it was more entertaining than worrisome. After no more than 15 minutes we found the waterfall! When we arrived there was only one small group of people eating breakfast on the rocks. They left shortly after and we had the whole place to ourselves for over an hour. The water is pretty cold, but still swimmable. There are also a lot of big rocks in the sun that you can sit on a dry off very comfortably. It was very peaceful. After about an hour we snacked on some yuca chips and got ready to head back as another group arrived. We followed the trail down to the hollowed-out tree. It was another steep decline with some near falls. Again, nothing I was worried about. The worst that would have happened is our shorts might have gotten a little dirty. There was not a lot of shade though, so don’t forget your sunscreen and a hat. The tree was neat; it was nice for a photo op but nothing to get super excited about. I only climbed in for about a second because my friend saw a bat and I hopped right back out. The hike back was a bit steep, but in my opinion easier than coming down (because you’re not trying to keep yourself from falling the whole time). No more than 20 minutes later we were back at the entrance station. By the time we got back a lot more people had started to arrive so we were happy that we got there early. We washed up in the bathroom and left hungry and just in time for lunch. It was definitely worth a visit! 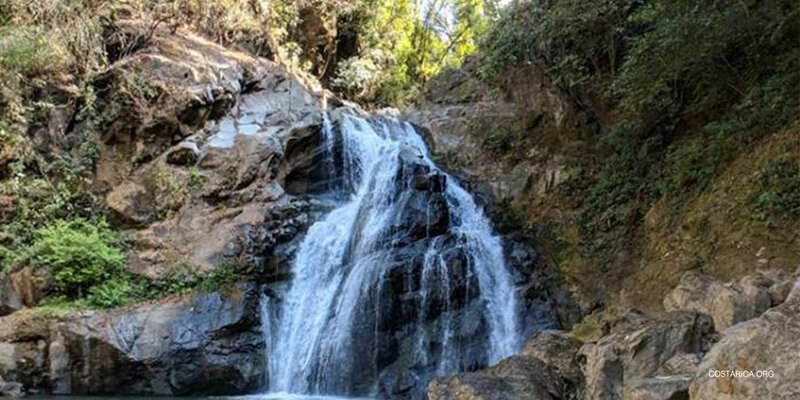 My only advice is to pack a lunch and come prepared for a bit of hiking so you can do the second hike past the waterfall and make it a full-day adventure.